Time for an unboxing video, here this time is the very rare limited edition White Xbox One getting unpacked. This version of Microsoft’s next-gen console would not be available to the public for purchase, it is exclusive to only those Microsoft employees who were involved in Xbox One development and are venerating the consoles’s launch. Microsoft’s next-gen console, Xbox one’s launch is just a matter of hours now. It took Microsoft years of hard work to put together an innovative device that is capable of living through the next-gen of games. To award its employees for their skilled minds, Microsoft manufactured very few special edition white Xbox one exclusive to the company’s employees. A very very rare edition of console that would apparently never be locally available, or would take long enough before hitting the market. The white Xbox One console is not available for public but only one has been auctioned at ebay with the closing bid of $11,300. 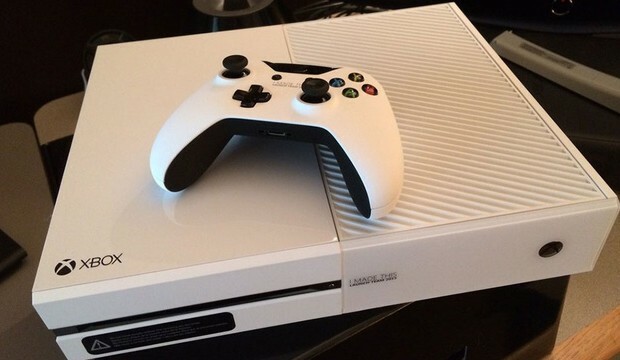 This figure would surely amaze you on how special the white Xbox One is. Larry Hryb from Microsoft made some statements suggesting the white Xbox One could hit the local shelves in the future but Hryb later confirmed that he had only been joking and that there are no such plans of setting the white version of the console for the public. The white Xbox One comes packed with a limited edition white controller, a simple black Kinect 2 and all the other standard components of simple retail Xbox One, the bundle also includes four of the launch games i.e. Ryse: Son Of Rome, Dead Rising 3, Forza Motorsport 5, Zoo Tycoon. The console and controller carry a special stamped message saying: “I Made This: Launch Team 2013”. The message is written in black font on the front of Xbox One and in the middle of the controller.